Ooohhh, the joys of the Scottish Cup! The intense emotions of a knock out competition that will have you knocked out cold one minute and elevate you to the heavens above the next, or vice versa. Definitely a roller-coaster of reactions most likely fatal for the faint-hearted. But we wouldn’t have it any other way. Westerton Utd stood between us and a place in the third round of the Scottish. They confidently set about their play from kick-off unperturbed. We would slowly find out at our expense how hard they would make it for us. Tricky at times, they worked hard, compact and used their pace efficiently. Nine minutes in and they took the lead courtesy of an unfortunate own goal. Wrong footed by the unexpected header from his defense, Lennon in goals had no chance. Buoyed by this manna from the Westerton football gods floating around Bothwellhaugh, the visitors grew bolder as they pushed for more goals. Our timid start certainly got the kick it needed to get us in gear. We had hardly had time to recover when the Westerton Utd striker was allowed to turn in the box and strike to increase their lead. No doubt our task was now made that little bit harder. Our inefficiency in the latter third and our inability to contain Westerton at the back needed to be addressed. A switch of formation saw Tyler in a deeper role and Euan made way for Ricky. The impact was immediate. While Tyler helped secure the back Ricky’s boundless energy, enthusiasm and hard work was infectious. He helped change our fortunes up front and gave the Westerton back line no respite. With Mairtin through on goal we held our breath in anticipation of the inevitable goal. Instead we screamed in agony as a discomfort in his boot sent the ball way off target. But we did not have to suffer too long. Ricky lost his marker with an intricate quick footed move to open up a space and then send Gallagher through. Gallagher through one on one with the keeper strikes low to kick start our comeback. From the sidelines the shouts to encourage the team got louder as the support urged the team on. A couple of minutes later Mairtin challenged an aerial loose ball in the Westerton defense guiding it on Ricky’s way who out jumped the Westerton defense to head the ball past the stranded keeper to draw us level to the delight of our support. We went to the break re-energised and desperate to make amends. The team talk was succinct as the team was sent back on the pitch with Dom joining the ranks for Dylan. We picked up where we left off, pushing Westerton deep into their own half in search of a win. We came close with Dom heading just over the bar. We had Westerton on the ropes. Eleven minutes into the second half and Mairtin picked Gallagher’s intelligent run and delivered the perfect ball into his path. Gallagher collected the pass and beat the keeper to delirious screams of joy. However, we took the lead for only a couple of minutes. 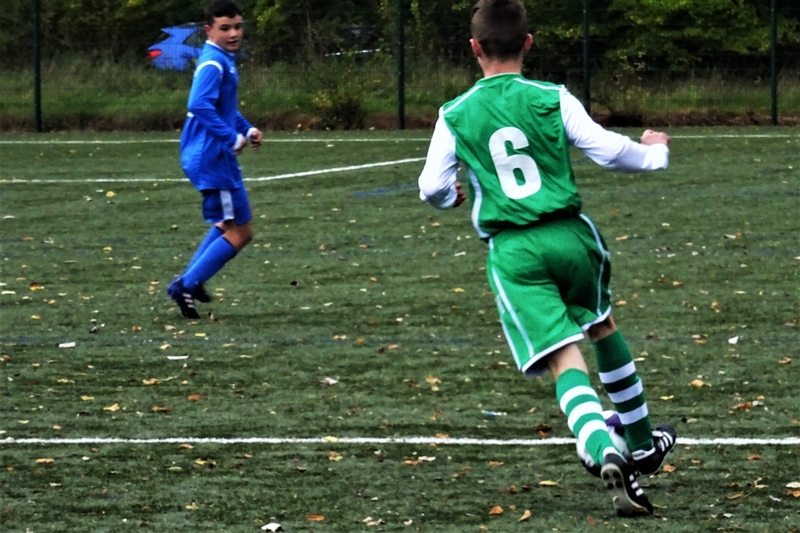 An innocuous long range effort embarrassed Lennon as it slipped through for Westerton to capitalise. All square again! From the sides the screams and shouts were frantic urging the team on. We agonised at the chances that came and went and then agonised some more as the boys worked their socks off but struggled to hold on to a lead. Dom picked Ricky’s run and threaded the ball through with a great pass. Ricky made no mistake. Bothwellhaugh was jumping again. But Westerton to their great credit mustered every effort to strike back within minutes of going behind. Dylan was thrown back on for Joseph and Euan followed on soon after for Jamie. Ben was deployed on the left wing and he delivered a great ball to Gallagher on the right. Gallagher puts a ball through to Ricky and Ricky strikes low to score a brilliant hat trick. Once again we celebrated in full voice. Surely this time we would hold on to our lead. In fact, we did better. Gallagher who had a brilliant game today saw his shot parried by the agile Westerton keeper. 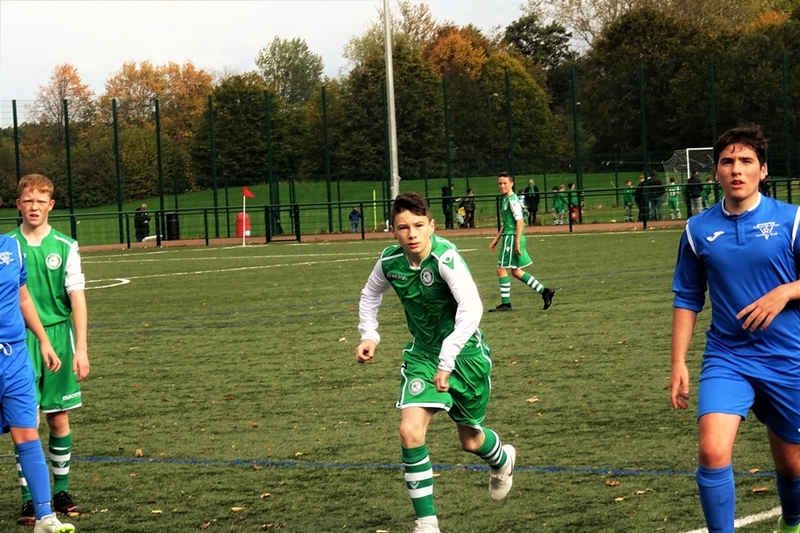 As the ball floated in the air Euan pounced with a brave diving header to put the ball in the net and give us much needed cushioning. Westerton were finally vanquished. Westerton were a good challenge for the team today. But we are certainly delighted to see the boys dig deep and eventually come through with a great victory. At times we may have doubted what the outcome would be and for a long time our nerves were in shreds. We certainly expressed our emotions in all sorts of way today, but we came through. While some of us must have aged on the spot, the boys certainly matured through the experience of a great performance. 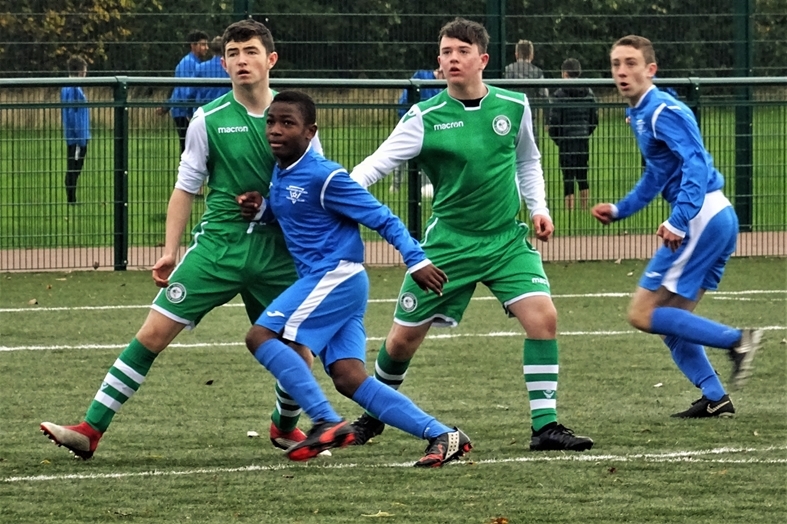 No Replies to "St. Patrick’s Vs Westerton Utd – 2004"